The following is a selection of my contributions to the group chat on Slack from from Wednesday 25th January to Tuesday 31st January 2017. The Slack ‘Chat Channel’ was set up by Dr. Frances Boylan on 10th January 2017 and I joined the channel on 11th January 2017. @frances @paulinerooney Must I use screencastomatic to create the ScreenCast? Or can I use perhaps Articulate Replay or similar? Hi Dave, your question was answered by Frances on this (Chat) channel at 12.27 pm yesterday. She said that we are not restricted to screencast-o-matic and we can use any screencasting software we like for this CA. Have a look at what she wrote. I hope that helps. Good luck with your screencast. I noticed that the new(ish) ‘videos-ca’ channel appeared on my iPhone but not on my iPad. I had to close the iPad app and re-open it for the channel to appear. I’m not sure if this is due to synchronisation issues when an individual has two Apple iOS devices or whether it is necessary to re-open the Slack app for new channels to appear. I suspect it is the former. Anyone else experience this issue? Usually it is possible to configure notifications for apps in either and/or the app itself, e.g. WhatsApp has two notification locations – Settings => Notifications (from the app itself) and Settings => Notifications (from the iOS ‘Settings’ app). However, the two locations DO NOT HAVE THE SAME SET OF SETTINGS. Correction: its…not it’s (for web interface and mobile)…in case I am tracked by the Grammar Police! Does anyone have any suggestions for exporting powtoons to vimeo without paying for it? @rachellynch I haven’t used Powtoon yet but the following two links suggest that it’s possible for free users to export to Vimeo. If you can’t do so for some reason, I assume you can simply paste the URL for your Powtoon animation to Slack, or upload it to YouTube (and again paste the YouTube link here in Slack) to satisfy the requirements of the CA? Have you created a free Vimeo account for yourself? not asking to unlock the characters but at least exporting the files should be free, it is a headache to make a slideshow and not being able to export it. Thanks Gerry, the mp4 option is only available on pro, the vimeo option eventually worked, but took almost an hour to process. Having finished the CA for this week, I looked at all of the other work (about 6) from my TELTA module classmates that have been posted so far to the ‘videos-ca’ channel. I then went back and looked at the brief for this week’s CA and did some reflecting. The brief was to create a presentation to introduce a teaching/learning module with either a video or a screencast. However, screencasting software is designed to record activities on the computer screen and is typically used to teach / train the end user (possibly a student) to use a piece of application software. Creating a video to introduce a teaching module does comply with the brief because a video is more closely aligned with the genre ‘presentation’. I know that Frances made a relevant post to this Chat channel on Friday offering more flexibility and choice around the software we could use (and I appreciate this flexibility). She mentioned Powtoon and I noticed that this was used by one or two of the TELTA module participants. Powtoon belongs to,the genre of ‘presentation’ (specifically animated presentation software) and so too does its close rival GoAnimate. I would like to point out that PowerPoint is also presentation software and this could equally have been used, with narration, to make a similar presentation to Powtoon. However, I suspect there may be some bias against using PowerPoint because it’s around so long. However, properly used, PowerPoint is an excellent presentation tool that can create a presentation comprising text, graphics, video, animation, and audio (both narration and music). I think that the CA specifications should have stated to create (a) a video or (b) a presentation (not a screencast) if the purpose is to create an introduction to a teaching/learning module. (a) Screencasting: Adobe Captivate, Screencast-O-Matic, Camtasia, etc. (b) Presentation: Adobe Captivate, Powtoon, GoAnimate, PowerPoint, Prezi, SlideShare, etc. (d) Video Sharing: YouTube, Vimeo, Personal Websites (simply upload a MP4 file or a bunch of HTML5 files), etc. If course, then there is the hardware used for video creation, iPhone, iPad, Android phone, Windows phone, digital video cameras, etc. Before someone points out that the assignment is as much, or more to do, with the teaching and learning than the technology, I would like to make this point. It is extremely important to be (a) aware of the purpose and genre of the tool on an immersive TELTA course (like this module) (b) aware of the research carried out into how to combine different multimedia components, such as text with narrated audio, text with graphics, etc. (what Clark and Mayer call the ‘Contiguity Principle’). (3) an annotated bibliography I wrote on a chapter from ‘eLearning and the Science of Instruction’ (by Clark and Mayer) called ‘Applying the Contiguity Principle’. This page provides a comparison of notable screencasting software, used to record activities on the computer screen. This software is commonly used for desktop recording, gameplay recording and video editing. Screencasting software is typically limited to streaming and recording desktop activity alone, in contrast with a software vision mixer, which has the capacity to mix and switch the output between various input streams. At CustomShow, we decided to list some powerpoint alternatives that could help solve your overall presentation software problems. Thes programs serve many purposes. @gerard.kilkenny: Actually, the brief, as written in the telta module, was to create either (1) a video introducing the module, or (2) to create a screencast that showed the user around the module, explaining how to access content & submit assignments etc. Neither is a ‘presentation’ and the focus of each was very different. The purpose of the screencast was not to introduce the module, but the show the user how to use it – a training tutorial of sorts. Powtoon is not a screencast tool. It is animation presentation software. I think that it is very important to carefully delineate between different types of tools. I believe that a lack of awareness in relation to different tools, and a lack of expertise in using them, is one of the reasons why there is a worldwide paucity of good eLearning materials. You can be sure that a carpenter will know in what circumstances to use a jigsaw versus a circular saw handsaw. In my opinion, this is not the case in eLearning. Correction: …jigsaw versus a circular saw versus a handsaw. Gerard, I think as with most briefs in teaching you have to be able to reward creativity and initiative that falls outside the brief otherwise novel ideas can get left out and lost forever!!! Anne, I’m not sure of the creative value of trying to design a house with Powtoon instead of AutoCad or Google Sketchup Pro! As I said earlier, I did not fully comply with the CA specification either and I appreciate that Frances (in her post on Friday) allowed us latitude in relation to the tools we could use. I used the correct tool genre (screencasting using Adobe Captivate) but for a slightly different task (teaching teachers how to use the Moodle LMS). However, at a later stage in the series of screencasts I hope to create, I will get to the stage of creating screencasts to show students how to engage with modules in Moodle (which would comply with the brief!). Is this the initiative you referred to?! Will it be rewarded with a badge on Tuesday?!! I think I did spend more time making other points in my posts than time taken mentioning compliance with the brief. I’m enjoying this online TELTA module as it is getting is all to use tools we might not otherwise use, and it is making me reflect quite a bit. I was interested in and liked the use you made of OneNote within your screencast, as my school uses Office 365. I just set up a second private channel for our new group 4 for this week. I have found the same problem as when I did this for the first private channel two weeks ago. Only 13 members of Slack appeared (10 students and 3 lecturers). I was able to invite Dave but not Blathnaid to the group. (Her name didn’t appear). Two weeks ago, the problem simply resolved itself about a day later. Has anyone else experienced this problem? It appears to be an annoying bug in Slack. @blathnaids: Hi Blathnaid. I will try to invite you to our private Slack group channel again later. (See my post above). @blathnaids: I’ve been able to invite you just now. (Note: There are still names of people belonging to the overall Slack group not appearing on the list, but at least our group problem has been resolved). @frances: I haven’t logged in to BB yet. Just wondering do we place our groups’ finished tasks on BB or Slack as well as presenting them on webinar next Tuesday? @gerard.kilkenny: Pauline is looking after this week and the task and next week’s webinar,so you might check the finer details with her in the morning. She may have that info on the task section of topic 4 either so maybe give a quick check there first. I’ve just left the PC here again so can’t check for you myself right now. @frances: Thanks Frances. I’ll have a look myself later and ask Pauline if it’s not obvious. Not at a working PC available to myself at the moment either! Setting up 11 new PCs in a computer room right now, but not one available to log in to BB until I’ve finished configuring them for network access in a couple of hours time! The following is the continuous assessment work carried out by my group during the week immediately after the Tuesday afternoon webinar that took place on 17th January 2017 from 13:00 to 14:00. Four years ago, an employee within your organisation designed and developed an entire online twelve-week CPD module. Since its inception, the module has been run very successfully, for employees only, three times a year. The employee who designed the original module left your organisation last year to take up a post at another institute. Word has since spread about the success of this module, and you started receiving enquiries six months ago from ‘outsiders’ asking if they could pay to participate. As a result of this, you and your colleagues decided to run an instance of the module for participants from outside your organisation. Thirty five people registered to participate and the module started two weeks ago. One of the participants on the module is an eminent barrister who specialises in copyright law. He noticed during the first week of the module that there have been numerous copyright infringements and he sent you a private email listing these infringements: one of these happens to be a journal article that he himself wrote five years previously that has been downloaded from a closed access journal and uploaded into the virtual learning environment for all module participants to read. You have brought the situation to the attention of your line manager and you both need to make some decisions! What course of action are you going to take regarding the module? Explain briefly (in no more than 250 words) why you have made this decision. You have decided that some guidelines, with links to appropriate resources, need to be created and shared with those in your organisation who design and develop learning materials. Identify (no more than) five key points that should be included in the first draft of this user guide. Once you have completed the above tasks, nominate one member of the group to post a copy of your responses to the appropriate discussion board. (Please paste the text into the body of the discussion posting rather than attaching a document). Your group’s submission posting must be made by Sunday January 22nd at 18:00 GMT. Take the time to review what the other groups have written – rate their submissions and feel free to comment on their decisions! (1) The immediate suspension of any items which were claimed to be copyright infringement from the module. (2) The barristers’ article and access to the closed journal needs to be immediately removed. (3) Communicate with and assure the barrister that his notifications have been received and that the matter is being dealt with appropriately. (4) Assess and corroborate the infringements. This may lead to the removal of any other documents, images or articles which are infringing on copyright until such copyright can be obtained. (5) Attribute non-OER material (including images) used in the module to the author until a full assessment is completed. Links to copyright material should be used, as this is not considered to be a copyright infringement (CJEU 13 Feb 2014, Case C-466/12). (6) Bring the infringements to the appropriate body within the HEI and have them assessed by the Intellectual Property Department. (7) Assess whether the materials are of significant value to the course before seeking appropriate permissions to use any material which had been infringed upon. (8) Assess other modules in order to ensure compliance, especially should the original developer have been involved. (9) Examine the copyright policies within the HEI and seek further information and training for all relevant staff. (10) Create a ‘User Guide’ for ‘Designing and Developing eLearning Materials’ (see below). The ‘User Guide’ (below) includes much of the rationale behind these ten decisions. Section 1 – What is Copyright? The employer is the owner of the copyright for a work created by an employee of an educational institution. Exceptions for educational purposes are given under ‘fair dealing’. If in doubt about copyright exceptions, seek legal advice. Copyright legislation differs from country to country e.g. the UK differs with Ireland. Ensure the appropriate educational licenses are obtained. Use materials created/written by yourself or your organisation as these can be used freely. Make links to web based materials – do not copy and paste web pages. Scanning/uploading of Irish printed publications to the LMS is permitted for some materials under the ICLA licence. Do not make images available unless you are the copyright holder or have permission from the copyright holder. Do not download music or other audio (such as podcasts) – provide a link instead. 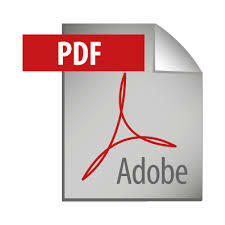 Do not download materials from YouTube and other video sharing websites – provide a link instead. Keep supporting evidence, such as early drafts. Use the copyright symbol and year of publication. Upload your own photos or photos taken by anyone at the educational institute using a CC0 Creative Commons License. OER are the teaching and learning materials that are freely available online for everyone to use and adapt. (c) links to copyrighted materials. Use the Creative Commons search engine to search for Open Access Images e.g. Google Images, Flickr and Fotopedia. The Open Access Policy in Ireland is a useful resource which informs the education institutes policy. Course materials, syllabus, lectures, assignments, classroom activities, pedagogical materials and many more resources contained in global digital media collections. The following is a selection of my contributions to the group chat on Slack from from Wednesday 18th January to Tuesday 24th January 2017. The Slack ‘Chat Channel’ was set up by Dr. Frances Boylan on 10th January 2017 and I joined the channel on 11th January 2017. On Tuesday 17/01/17, I integrated my Twitter account with the DIT TELTA Slack channel. Kevin, Frances, Pauline. I have spent over an hour trying to get ‘Chat’ and ‘Virtual Classroom’ (in Collaboration link for our group) working with Chrome, Firefox and Safari on my iMac in the group area on Blackboard. It seems to be a Java plug-ins issue. I downloaded and installed the latest version of Java. It comes up with ‘Loading…’ and / or Java exception errors. Previously, I have had no problem with accessing the Blackboard webinars using Chrome on my iMac. I’m going to bed to try to get that 4 hours sleep that Kevin referred to during yesterday’s webinar! Gerry sounds like you had lots of fun and at 2am! @gerard.kilkenny We moved recently to an updated version of Collaborate but it would appear that the ‘lecture hall’ under the ‘collaboration’ group tool is trying to open the older version. That’s something we’ll have to report to Blackboard. I’m not sure why the chat isn’t working. For now I’ve disabled the lecture hall and chat functions in the groups. You’ve loads of other tools at your disposal to use to communicate so it should be ok. Feel free to set up a private slack channel for your group if you’d like. I think I allowed you those kinds of options in the settings but if not get back to me. I’m at a daylong seminar today but I could look at it after that for you. @frances Thanks very much for your reply. I have just set up a new private channel for our group (called group4). I was able to invite Rachel L to the group. However, Cora’s name does not appear in the list of students in our TELTA class so I can’t yet invite her to our (hopefully soon to be) three person group. This is because several names are missing from the list of all possible invitees. Only 10 names out of (the approx) 20 in our TELTA class appeared on the list. Cora’s name is one of the missing names. I don’t know why this is the case. Any ideas? (If I press the @ key, her name does appear here in this chat channel!) By the way, I began this message with @frances. What’s the purpose/effect of this? (I noticed some of our TELTA group do this and some don’t). @gerard.kilkenny: using @ flags your posting for someone in particular. This helps others filter postings & to easily recognise when a posting is referring back to a comment made by that other person earlier. And Cora is on slack. If you type just ‘@’ a list of all those who have accepted my invite to slack should show up for you. You’ll see Cora’s name in there & can invite her to your group. @frances Thanks for the flagging explanation. However, I definitely could not invite her to the group though despite her being a member of Slack (which I knew using @). Cora and about 9 other Slack members were missing from the invited attendees list that appears during the invite process. I am certain of this. @gerard.kilkenny I’ve checked the team members list and Cora is there as a full member. I was in touch with her by email about something else this morning and asked her to contact you. Hi All, I seem to have had the same problem as Mary and a few other DIT staff. Using my Staff ID I could see everything (I think?) apart from my Group! I thought I had to read through all the material first before I was going to find out who was in the group!! Anyway resolved now! -So Rachel, Gerard, feel free to contact me. @cora: @rachellynch @frances Hi Cora, if you visit our group’s discussion board in Blackboard you will see a thread created by Rachel and responded to by me two nights ago. I have created a private channel in this Slack team called ‘group4’. Rachel was invited by me and is a member. I could not invite you as your name does not appear in the list of ‘invited attendees’ even though you are a member of this Slack team (20 members roughly) and a member of the Blackboard group 4 (3 members). I will login to the full Slack website shortly and see if your name will appear today in the ‘invited attendees’ list. Hi Gerard, Yes, I responded to the discussion board thread created by Rachel. @gerard.kilkenny @frances I do not see a private channell for Gp 4. I see three channells: twitter, announcements and chat. Frances, do you have any idea what the problem might be? @cora & @gerard.kilkenny I’m not seeing the group either as I haven’t been invited to it so there’s little I can check out from this end. Lets see how Gerard gets on using slack via the browser later and go from there. He’s he’s still having problems then maybe add me as a member of the group and I can see then if as admin I can ad you to it too. @frances: @cora Slack functioned properly this afternoon allowing me to invite Cora to the group 4 private channel. How is the group task going everyone? Any initial observations about participating in a collaborative task online and at a distance? 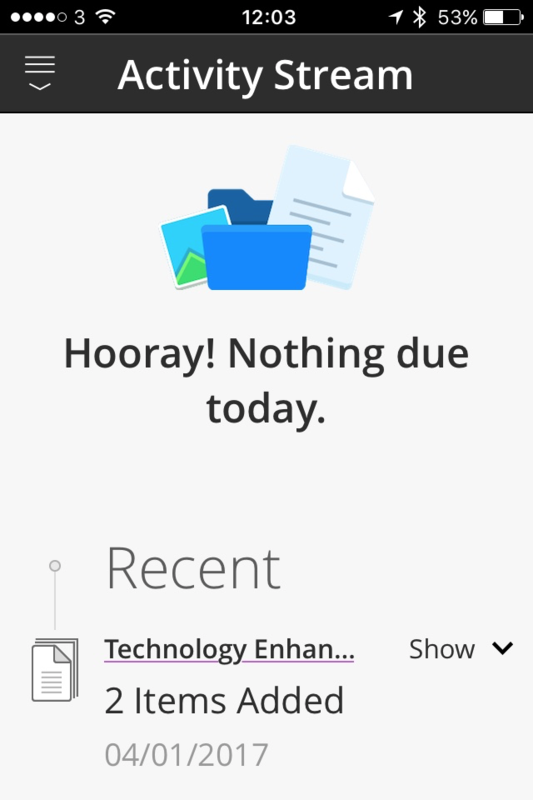 Positives: (1) Learning more about different ways of using Slack. We have now set up a private Slack channel and all three of our group are communicating this way. (2) Set up a new Group Wiki in Blackboard to contribute our text. 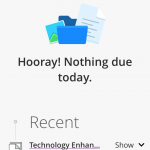 (3) Finding out that the Blackboard collaborative tools look very old-fashioned in comparison to Slack’s tools! Negatives: (1) DIT administrative error meant that one member of our group only got access to the group on Blackboard today. (2) A glitch in Slack meant that one member of our group could only access the private Slack channel for our group today. (3) As you said yourself, you will be reporting to the Blackboard folk that lecture hall and chat functions for the groups are not working. You have now disabled them. This means that the group has no webinar type collaborative tool to use within Blackboard (4) Consequently, the first two to three days have been spent test communication tools and trying to establish communication within our group. @frances @paulinerooney @kcor1964 “When this task has been done come back here and click the ‘Reviewed’ button to collect your week 2 badge!” This should be changed to ‘Mark Reviewed’ button as clicking on the ‘Reviewed’ button prompts Blackboard to warn you that this will mark your Group Task submission as ‘Unreviewed’. (The text is correct for the introductory video at the top of the page). @Gerry I agree, the text “Mark reviewed” on the Blackboard badge is confusing. I’ve removed it and am going to award badges manually instead! In the webinar tomorrow we’ll cover how to view your badges as the module progresses. Check out the following Vimeo video which recreates the Ringelmann Effect. ‘Social loafing’ is the phrase used to describe the individual ‘slacking’ (no pun intended! ), sliding and hiding that occurs when the individual members of a group are aware that they will be assessed as a group. Individual effort declines when there is no recognition of individual effort. In 1913, Max Ringelmann performed a simple experiment using German workers. He asked subjects to pull on a rope alone or in groups and measured the strain to demonstrate social loafing. This video recreates this experiment and talks about the theory. I think that the piece above is worth a read. It’s not an academic paper but I think that it is a reasonable starting point to provoke some thought on the subject of group size. Looks like it’s easier for 1 student to ‘ game’ the system with 4 in a group than 3 if you are that way inclined. In 1913, a guy named Max Ringelmann noticed something strange about humans. Ringelmann, a French agricultural engineer, took a rope and asked individual people to pull on it. Then he asked those same people to pull on the rope with a group. He observed that when people pulled with a group, they put in less effort than when pulling on their own. We call it “the Ringelmann effect,” or social loafing. It describes the tendency for individual productivity to decrease as group size increases. And it doesn’t just happen in tug-of-war games: It’s present in companies like Google and Facebook more than a century after Ringelmann’s discovery. @kcor1964 Kevin, was it 3 or 4 hours sleep that you were recommending before webinars? @mick_mc_keever Mick, I know that you’re probably still doing some late night research on group size. However, you really should consider the danger of not waking up in time for today’s webinar. There’s also a bit of ‘human nature’ in it! I don’t think that this is really anything new. Trust, and encouragement and playing nice goes a long way in group dynamics, in my opinion. That’s true too Pat. I thought there was a nice social dynamic to the online group that I was in. Everyone was very courteous. Gerry – now we are Working as a group! I will be asleep 1-2 tomorrow but who will know? You must be using that new software ‘Slackinar’ as well Mick. It fools webinar presenters into believing that a student is actually ‘present’. The trial version allows you to set a timer and uses a macro to record the keystrokes to remotely access the webinar without the ‘participant’ having to leave their bed. The pro version causes the ‘hand’ to be raised randomly during the webinar as well as mimicking the ‘participant’s voice if called upon to make an erudite interjection. The following is the continuous assessment work that I carried out during the week immediately after the Tuesday afternoon webinar that took place on 10th January 2017 from 13:00 to 14:00. The paper refers to the low level of use of collaborative educational technology, both within and outside the VLE, by the DIT lecturers surveyed . These include messaging tool (26%), discussion boards (19%), wikis (12%), SMS texting (11%), BB mobile app (7%), webinars (5%), and chatrooms (2%). This does not mean that the students of these lecturers in DIT are not using this collaborative technology independently of the lecturers in whole class groups or sub-groups. As a second level Maths teacher, I have discovered that students mainly use Facebook as their method of communication. Currently, I have a class of 30 students in 3rd Year following the Junior Certificate Higher Level Maths course who have their own Facebook group for communication purposes. The school that I work in does not have an institutional VLE. In the absence of such a VLE, I set up the Schoology LMS for my 6th Year Higher Level Maths class and for one other teacher in March 2014. Schoology is very user friendly and cloud based with excellent mobile apps. However, I discovered a major problem with this LMS is that a student can sign up as an ‘Instructor’ which gives them the administrative rights to set up classes. Consequently, I reluctantly discontinued using Schoology after one and a half years. Currently, there are at least two teachers in my school using the Edmodo LMS while others use email and Twitter. I have tested the installation of the Moodle LMS on my own personal website. 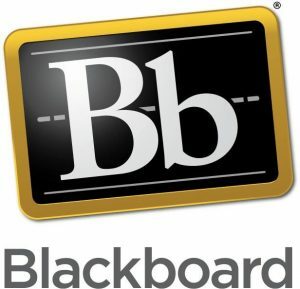 One of the main problems I perceive with Blackboard and Moodle is that they are bloated pieces of software originally designed for client/server (desktop) systems. This has resulted in fragmentation rather than integration of the various pieces of application software that constitute a LMS/VLE. Students in 2017 appear to use mobile apps much more than their desktop equivalents (when they exist). In my opinion, the challenge for the two main LMS suppliers in the higher education market (Blackboard 41% and Moodle 23%) is to develop their mobile solutions. In the meantime, the fragmented app landscape whereby lecturers and students use different proprietary solutions for email, instant messaging (binary), instant messaging (group), file repository, file sending, file sharing, group conferencing, whiteboard sharing, etc. will persist. The MSc in Applied eLearning course is a case in point, using a mixture of email, Blackboard, Slack and Twitter to communicate. This 2015 paper by O’Rourke et al (who work in the LTTC based in DIT Aungier Street) is based on research carried out by them between February and April 2013. This research was conducted via a phone call survey of 200 randomly selected staff working in DIT followed by an additional three-question anonymous online survey. (c) gain an insight into factors inhibiting or preventing staff from engaging with eLearning technologies. The paper begins by providing evidence that when it comes to actual teaching, learning and assessment practices, very little has changed as a consequence of the introduction of VLEs such as Blackboard and Moodle. (Zemsky and Massy, 2004; Weller, 2007). The authors note that eLearning progress has been cautious in publicly funded third-level institutions with an opt-in rather than mandatory approach for staff members who wish to use technology in their teaching practices. “In the main, however, it is clear from the emergent patterns that VLE usage is best categorised as supplemental to traditional, didactic teaching methods as evidenced by the relatively low usage of tools which foster and promote interactivity.” (O’Rourke et al, 2015, p.11). It was interesting to me that the paper traced the history of the VLE in DIT from the introduction of WebCT in 2001 to its replacement by Blackboard in 2012. I wasn’t aware of how the Learning, Teaching & Technology Centre (LTTC) in DIT came into being. It was informative to read that it was created from an amalgamation of the Learning & Teaching Centre and the five-member team who were employed for an initial three-year period with a remit to embed eLearning practice in DIT with a focus on mainstreaming the use of WebCT. The answers to the survey question seeking to elicit how Blackboard is used by lecturers in DIT is consistent with a longitudinal survey conducted among students across several third-level Irish institutions which discovered that students mostly experienced the VLE as a content distribution platform. (Risquez et al., 2013, p.103). The DIT survey established that that the top five tools used by lecturers in Blackboard were: file sharing (93%), email tool (71%), announcements (70%), learning module (59%) and YouTube (52%). The use of other Blackboard tools dipped below 50% for each of the other nineteen tools. O’Rourke et al 2015, p.11 conclude that “…it is clear from the emergent patterns that VLE usage is best categorised as supplemental to traditional, didactic teaching methods as evidenced by the relatively low usage of tools which foster and promote interactivity.” The level of usage of collaborative learning tools was discussion boards (19%), Wikis (12%), Webinars (5%) and chatrooms (2%). Google Docs (now Google Apps) had a 25% rate of usage among lecturers but its Microsoft equivalent (Office 365) is not listed which appears to be an important omission. The additional three-question anonymous online survey was designed to discover why lecturers in DIT generally didn’t use personal websites or tools such as twitter, audience response systems (clickers), mobile apps, open educational resources, ePortfolios, online games, lecture capture and social bookmarking. Lack of time to explore and become confident in the use of such tools was cited regularly by the DIT lecturers surveyed as a reason for not using these technologies, both within and outside the VLE. One lecturer said staff should get timetable reductions for engaging in distance learning over and above their face-to-face lectures. In my opinion, a weakness in this piece of research is that the students of the lecturers involved in the survey were not also surveyed. Just because these DIT lecturers have a low use of collaborative technologies, this does not mean that their students are not independently using these technologies in whole class groups or sub-groups especially outside of the VLE. As a second level Maths teacher, I have discovered that students mainly use Facebook as their method of communication. The paper concludes that a move away from the individual opt-in approach towards a system of planning and incentivisation at programme, school and institutional level may be what is required for lecturers to use the more interactive and collaborative tools within the VLE. The telephone survey included a section whereby participants were asked how they used Blackboard with their students by listing out the individual tools available within the VLE and asking them to indicate whether or not they have used or were aware of each one. Figure 1 gives an overview of the responses. The telephone survey included a section about tools available to lecturers via the DIT applications suite but also extended to social networking and other tools available online: which ones are they aware of and/or how do lecturers use non-VLE tools in their teaching? Figure 2 gives an overview of the responses. Weller, M. (2007). The VLE/LMS is dead. The Ed Techie, Retrieved June 12, 2015, from http://nogoodreason.typepad.co.uk/no_good_reason/2007/11/the-vlelms-is-d.html. Zemsky, R., & Massy, W.F. (2004). Thwarted Innovation: What happened to e-learning and why. USA: The Learning Alliance at the University of Pennsylvania. Retrieved June 12, 2015. Anne, I think that this is a well-considered response to Daphne Koller’s 2013 TED talk. Your response is logical, well-structured and succinctly identifies the two main reasons affecting course completion: lack of instructor interaction and perceived effectiveness of content. I have looked at what has happened to the MOOC since that 2013 TED talk and it appears that by the end of 2013, the media’s infatuation with MOOCs receded. Since Daphne Koller’s 2013 TED talk, attempts have been made to deal with the two factors affecting course completion: lack of instructor interaction and perceived effectiveness of content. Picciano (2014) refers to the four waves of online learning and opines that the latest (4th wave) began in 2014 and is a mixture of blended learning (2nd wave) and the MOOC (3rd wave). In December 2013, Sebastian Thrun (founder of Udacity) was quoted as saying that he was giving up on MOOCs and that Udacity have a “lousy product”. (Chafkin, 2013). In November 2013, Daphne Koller commented at Sloan Consortium’s Annual Conference that students who lack the basic skills of reading, writing and arithmetic would probably be better served by face-to-face instruction. Koller went on to say that MOOC companies should consider the development of more pedagogically sound course materials that can be used in blended online formats rather than fully online formats. (Koller, 2013). Koller’s evangelical delivery in the TED talk reminded me of a similar delivery I witnessed from Mike Feerick during his keynote speech to the EdTech 2016 conference in Dublin. Feerick is the Galway based founder & CEO of ALISON, which was launched in April 2007 and is widely credited as the world’s first MOOC (despite the claims of Stephen Downes and George Siemens!). During this keynote, I remember Feerick telling his audience that his mission was to deliver free education to the (educationally) dispossessed and how ALISON does not charge for its courses. This is untrue – ALISON does not have a subscription model of payment but it does rely on Internet advertising. (Feerick, 2016). Koller, D. (2013). Online learning: Learning without limits. Keynote presentation at the 19th Annual Sloan Consortium Conference on Online Learning. Orlando, FL. The following is a selection of my contributions to the group chat on Slack from from Wednesday 11th January to Tuesday 17th January 2017. The Slack ‘Chat Channel’ was set up by Dr. Frances Boylan on 10th January 2017 and I joined the channel on 11th January 2017. (1) If you search for “Bb Student” using the App Store app on an iPad, you will not find it. You need to filter from (the default), ‘iPad Only’ filter to ‘iPhone Only’ filter. This is because Blackboard have not bothered to write an iPad specific app. So, the app is an iPhone app that runs in portrait mode only on an iPad. This is not an uncommon practice, Aer Lingus is another example of a company who don’t have an iPad app. In contrast, Google Maps and Geogebra are good app examples from software houses who write separate apps to take account of the different form factors/screen sizes of the iPhone versus the iPad. Incidentally, searching for “Bb Student” using an iPad browser (certainly with the native Safari app) will find the iPad app. (2) The ‘Bb Student’ iPhone app works on both the iPad 3 and iPhone 4s both running the latest versions of iOS that run on these two devices 9.3.5). These two devices were introduced by Apple circa 2012. However, when you reach ‘Access all webinars here…’, followed by the message ‘Joining the session using ‘Bb Student’, the app aborts after about 7 seconds. So, the app is not retrospectively robust enough (nor have the software developers trapped the error that causes the app to abort) to run on these devices. (3) Notwithstanding all of this ‘bad news’, I can see myself using the app to receive alerts/notifications of DIT Webcourses postings rather than logging in occasionally via the web on a desktop device (PC or Mac) to find a number of postings that are a few days old. In case you think I am a complete Blackboard basher! Thanks a million for those posts Gerard & all of the work that went into testing the various options available. Appreciate it. It’s of great help. Note: The text in the line above appears when you add your Twitter handle to Slack. My Twitter handle is @gerardkilkenny. The following is a description/reflection on the Tuesday afternoon webinar that took place on 10th January 2017 from 13:00 to 14:00. Instructors: Pauline Rooney and Frances Boylan. Q.2) Did you complete it? This was only my second ever webinar and it was the first time that I enrolled on an online course. Naturally, I was feeling a little apprehensive but I found the style and pace of this induction seminar to be quite acceptable. According to Pauline, the average completion rate for MOOCs is 7%. This concurs with a study carried out by Katy Jordan who carried out research into MOOC completion rates as part of her PhD studies in the Open University. We were then given some advice in relation to how to use the tools inside the webinar application which is Blackboard Collaborate. Pauline told us that we a student can use the ‘raised hand’ icon to indicate that the student wished to intervene and say something. She told us that we could then speak by clicking on the microphone icon or be seen and heard by using the video camera icon. However, she advised against using the latter as the bandwidth required could really slow things down. There is a ‘Chatbox’ within Blackboard Collaborate that can be used for text chat throughout the seminar without having to request permission from the instructor to speak. 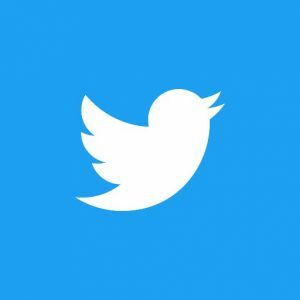 (6) Community – extend this beyond the classroom by using (say) Twitter. We were promised that communication would be via the (open) Twitter (#dittelta) app and via the (closed) Slack app. After six weeks of the course, I can now say that Slack was used extremely frequently but as a student on the TELTA course, I hardly got, nor was I encouraged, to use Twitter. There was very little conversation in the #dittelta from the three lecturers (Pauline, Frances, Kevin) nor from the students. This was a pity because I was hoping to get tips in relation to who to follow in specific eLearning sub-fields. For example, it might have been interesting to follow Stephen Downes or George Siemens in relation to MOOCs or connectivism. Although I learned a lot on the module, most of what I learned was from personal Internet research and from links provided by the lecturers and students in our closed Slack class group. In my opinion, this led to a more insular rather than open educational experience. The discussion board in Blackboard is to be for more formal activities such as posting individual and group work as well as responses to peer articles or artefacts. At the end of the webinar, Kevin talked about other people (e.g. ex students of the course) becoming involved in the current cohort’s conversation on Twitter but that never really happened. On the Induction Seminar from 26:30 to 28:57, I compare and contrast WhatsApp and Slack. I want to record this on SoundCloud. A 600 Word Reflective Piece which reexamines your PLOs in light of what you feel you have achieved during the module. (*) Note: Frances pointed out that, as a Maths teacher, I could take a topic (e.g. geometry) and use the mind map as a way of figure out a way of integrating technology into teaching that topic to (say) 5th and 6th year students. This would be a ‘paper’ exercise of assessing how that might benefit my students. In the webinar, I used the example of developing the module ‘Algebra through the Lens of Functions’ to teach to my Transition Year Maths class using iPads. Pau;one said that this would be fine. You don’t have to be teaching the module. You could be involved in creating eLearning content for the module. All three aspects of the the assessment must be passed to achieve the 5 ECTS credits. Kevin took the microphone 40 minutes into the webinar to introduce the individual task for this week which is titled Exploring the Current eLearning Landscape. He showed two images of a 14th-century lecture hall in Bologna, Italy and a 21st-century lecture hall in Oxford, England. The point he made is that not a lot has changed in the architecture of these classrooms over 700 years. He went on to say that there is no real direction in technology in education and it is an opt-in, rather than a mandatory, feature of our education system. Is technology a bad thing? Digital distraction. What we seem to have often done with technology is simply replicate existing pedagogies, and also to supplement (in an opt-in fashion) existing pedagogies. (2) What is technology doing to pedagogy. (3) TedTalk from Daphne Koller (the founder of Coursera). (4) National Forum for the Enhancement of Teaching and Learning in Higher Education (Roadmap for Digital Learning). Post a response of 250 – 300 words by midnight on Sunday 15th January and a 100 word response to a peer’s work by midnight on Monday 16th January.